A vignette at Adkins Architectural Antiques, an architectural salvage store in Houston. 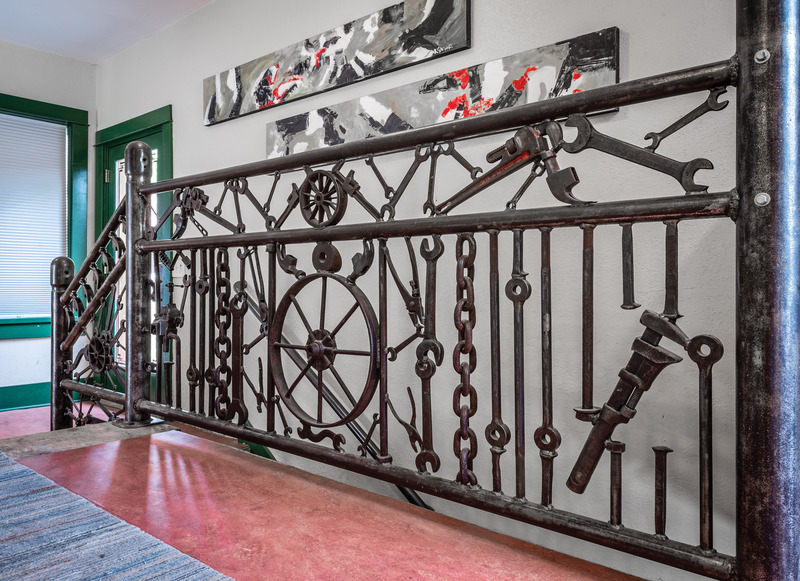 Some of the “old” houses we feature are actually newly built—but they have the patina of age because architectural salvage was incorporated into their design and construction. 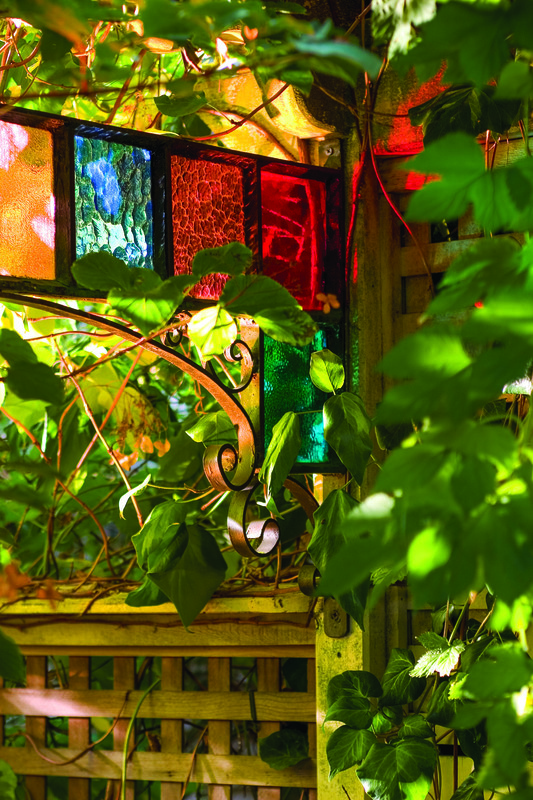 Salvage stores can be found in most major cities and all regions, offering everything from windows and doors to hardware, plumbing, and lighting, from tile and stoves to unique architectural fragments. 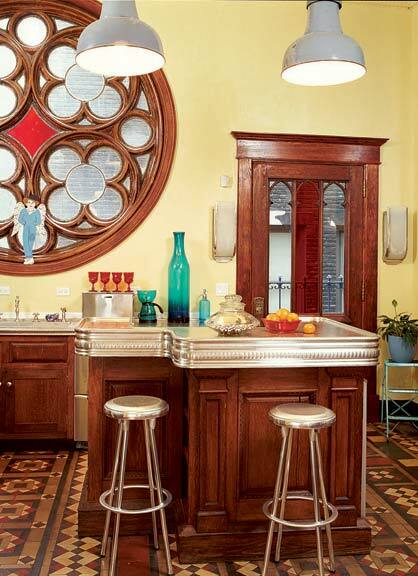 Read more: How to shop for architectural antique salvage. 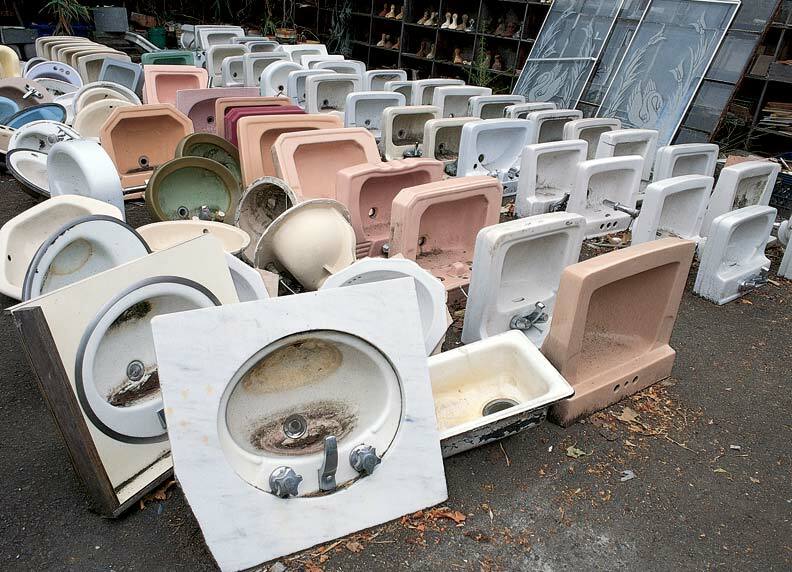 These places are “a cross between a Hollywood prop department and an elephant burial ground,” says Thomas O’Gorman, author of New Spaces from Salvage (Barron’s Educ., 2002). All those unattached parts, all those relics of the past—it’s a surreal experience and an architectural education. The urge to take something home and make it your own is almost irresistible. 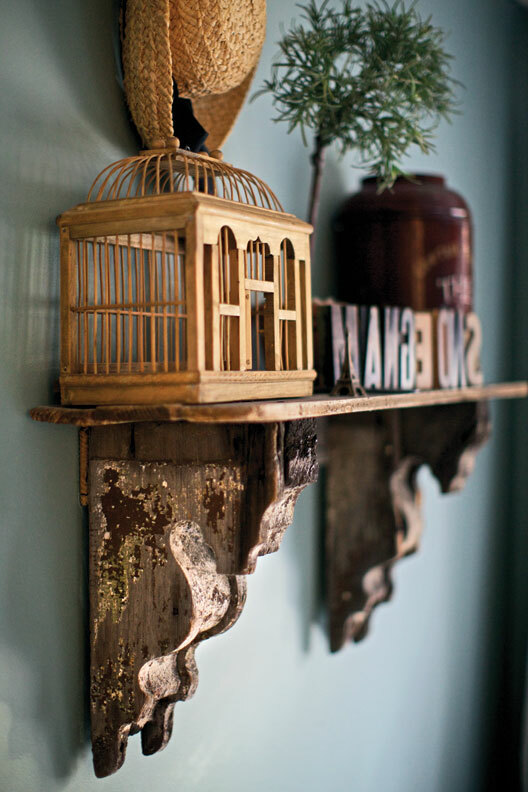 Know of an architectural salvage store we missed? Please let us know by leaving a comment at the end of this directory! Tools became art! Josh Decker suggests that the idea could be used for, say, a shelf bracket, something small and simple. 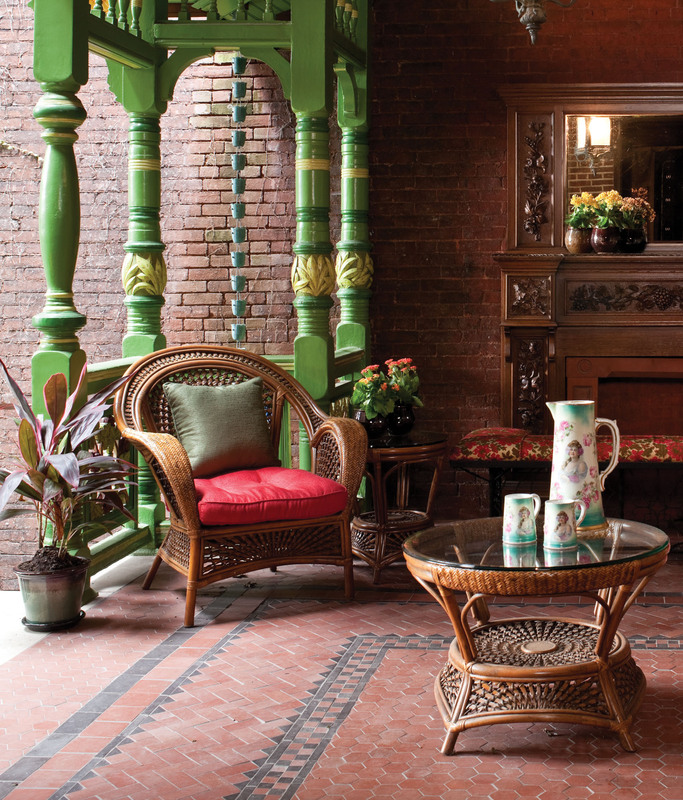 On the back of a town-house in Pittsburgh, this whimsical gingerbread porch replaced the original that was removed during the 1960s. Massive turned posts support an ornamented gable—all of it salvaged when an 1884 mansion was being demolished just down the street. Salvage warehouse operated by Franklin Heritage Inc.
Salvaged materials, specialty in reclaimed stone sinks; design and consulting services, online inventory. 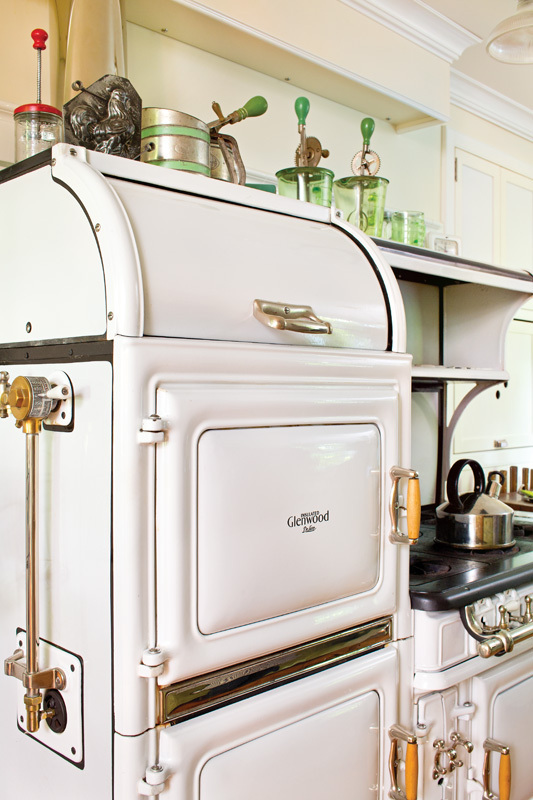 The six-burner, two-oven Glenwood SNJ was restored by Erickson’s Antique Stoves. For more, check out our directory of architectural salvage stores in our Products & Services Directory. 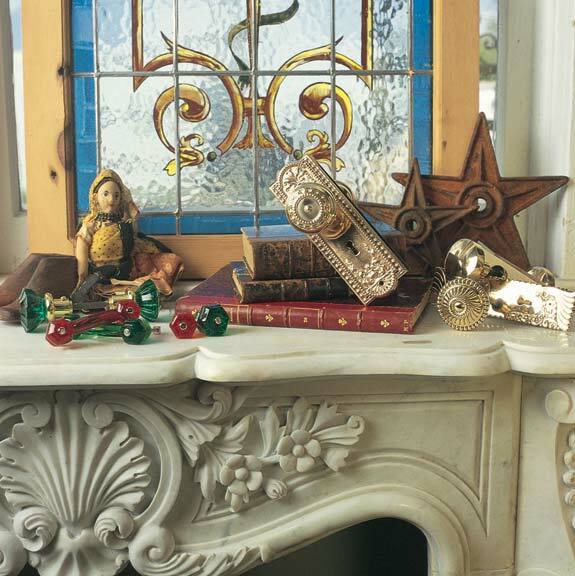 Shop at a salvage market for reasonably priced period materials that will enhance the authenticity of an old house.